How Can You Reach the 98% of High Net Worth Households That Donate Annually? The Lilly Family School of Philanthropy’s 2014 U.S. Trust Study of High Net Worth Philanthropy reveals a lot of opportunities and trends that you can use to generate annual gifts from wealthy donors. For this donor group, roughly 5 in every 8 donors (62.9%) indicated their largest single gift was less than $10,000. In fact, only 17% of high net worth donors made a single gift of $25,000 or more. This is not to say that your donors will not be interested in larger gifts, but the odds clearly favor securing annual gifts under $10,000. A similar report on high net worth giving in the U.S. found only 805 organizations received a $1 million gift in 2013. (note: there are roughly 1.43 million tax exempt organizations in the U.S.). High net worth donors overwhelmingly like to use cash, checks or credit cards to make annual gifts. Roughly 80% of these donors use cash or checks, and more than 90% are comfortable using a credit card to make that gift — thus no significant delay in utilizing the money for impact. Only 20% of these donors planned to use stocks or mutual funds. 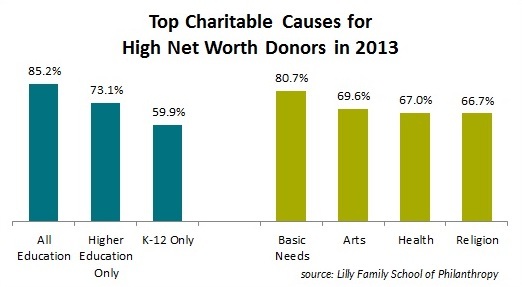 High net worth donors are not shy about making gifts each year to an unrestricted fund. In fact, nearly 4 out of every 5 of these donors (78.2%) indicated their largest gift of the year went to an unrestricted purpose. While unrestricted funds can be appealing, these donors also are driven by the impact of their gifts. In 2013, 73.5% of high net worth donors said that the impact of their gift and how it can make a difference was a strong motivator. Roughly the same percentage of these donors (72.5%) indicated their household has a giving strategy, and in fact 61.9% of households had a specific charitable donation budget. Enhance your cultivation with specifics. Not only do high net worth donors like to see impact, but 72% consider themselves knowledgeable about charitable giving. Involve both spouses/partners in the process. Four out of every five married/partnered households (81%) make joint charitable decisions – or at least confer about those decisions. Engage donors and prospects and allow them to see first-hand the impact of charitable giving. Nearly 4 in 5 high net worth donors (79.7%) prefer direct engagement as their primary source of evaluation. 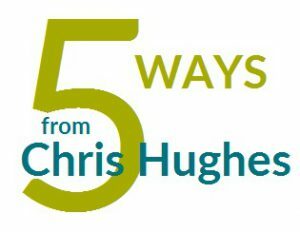 Increase your prospect pool by researching households with fewer college degrees. Amazingly, the average household gift for those with only a bachelor’s degree only was $62,228 compared to $47,341 for those with a master’s degree. Furthermore, the study indicates average annual giving by high net worth donors with a master’s degree has dropped 33% since 2009.